Stay at Place to Read, a wonderful historic house in the Old Town of Akureyri. Perfect for a family holiday all year round. Place to Read is our family retreat in Akureyri in the north of Iceland. It is the perfect place to unwind in beautiful surroundings, to allow yourself the luxury of reading, and then head for outdoor adventures. There are endless opportunities for hiking, skiing, cycling, fishing, whale watching - or doing nothing at all. The house is the ideal base from which to explore the rest of the North. Lake Mývatn is an hour away. You could easily spend a week - or a month - exploring new things every day. The house dates from 1859 and has been rebuilt piece-by-piece. It contains three apartments: a large one on the main floor, and two smaller ones upstairs. That means you can stay with friends, or the kids can bring their friends and have some privacy. At the end of an adventurous day everyone can gather in the large kitchen and living room downstairs for a dinner. The apartments all have wood burning stoves. 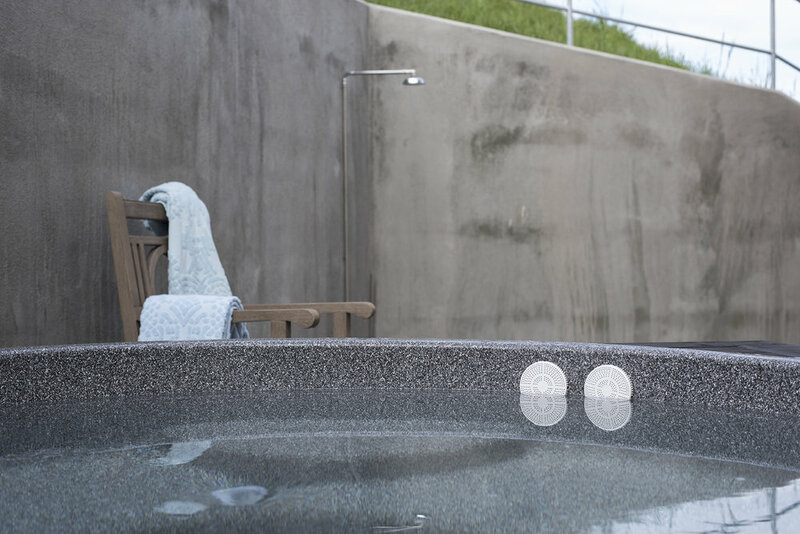 Other luxuries include a sauna, a hot tub and an outdoor shower. 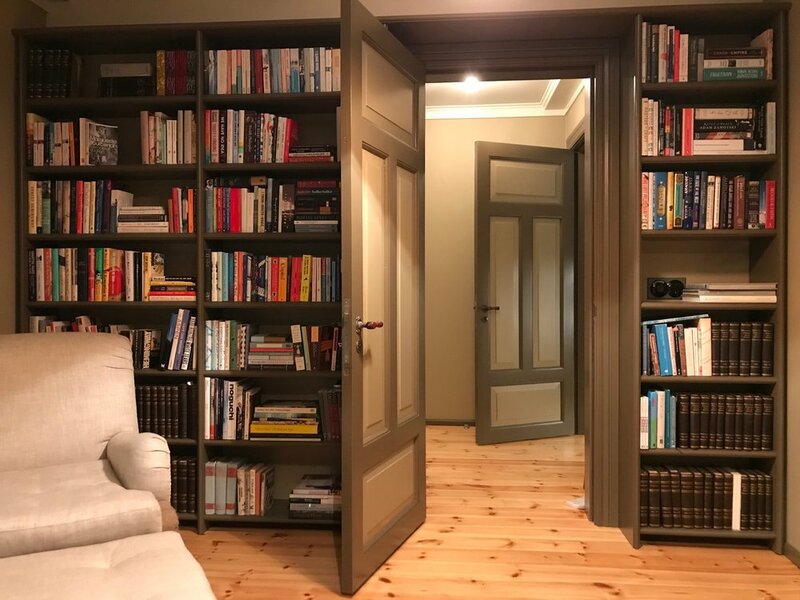 The house is filled with our favourite books, including fiction, history, coffee-table books, children’s books, and magazines. The books are mainly in English, but there are also some in French, German, Danish and Icelandic. 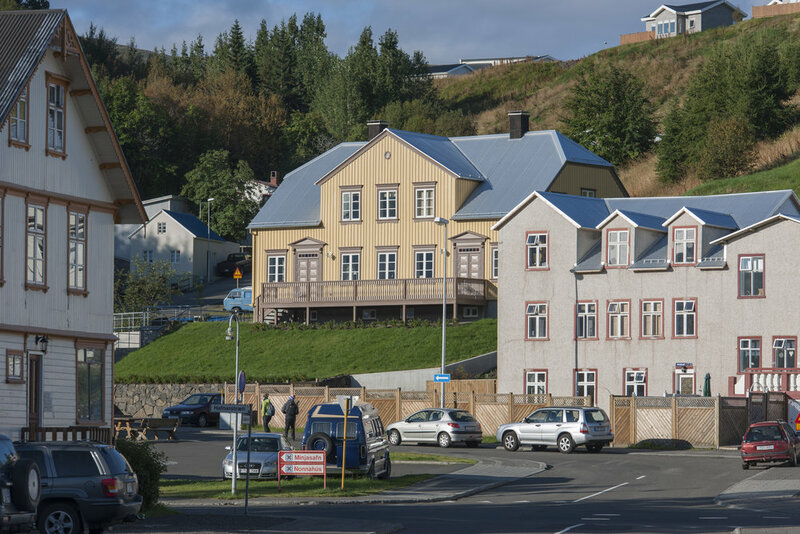 The house is located in the historic old part of Akureyri, a 10 minute beautiful walk to the main downtown area. Akureyri is a town of 18.000 people and functions as the capital of the North of Iceland. 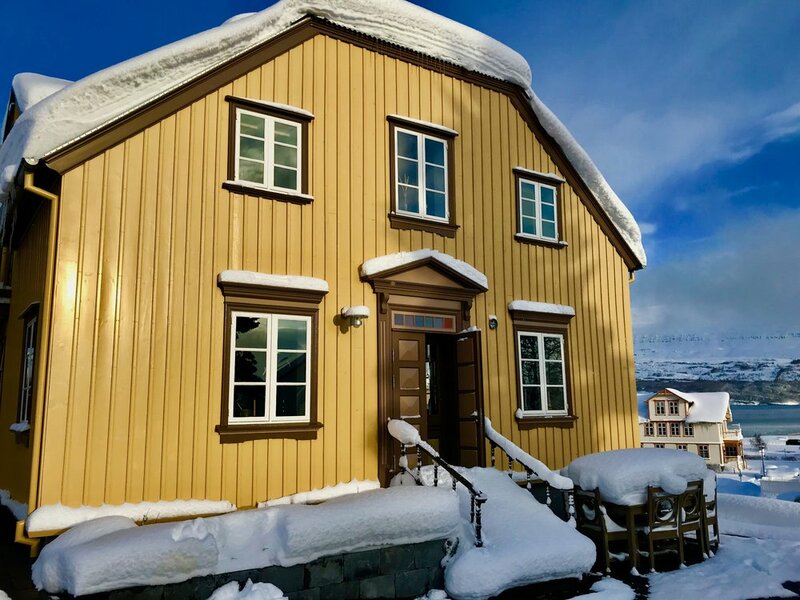 Akureyri is on The Guardian´s list of the top destinations to visit in 2018. It was voted by Lonely Planet as the best place to visit in Europe in 2015. The town and its surroundings offer endless activities. The house sleeps 8-12 people and is ideal for a family, or friends travelling together. The two apartments upstairs are self-contained with a separate entrance. The apartment on the main floor sleeps 4-6. It has two double-bedrooms, two full bathrooms (one en-suite), a large kitchen / dining / room and a small library with a sleeping sofa. It has a large balcony stretching along the front of the building. This apartment is wheel-chair accessible. The South apartment upstairs sleeps 2-4. It has a kitchen / dining / living room with a sleeping sofa, a large double-bedroom and a bathroom. There is a small attic with a writing desk and play area for children. The North apartment upstairs sleeps 2-4. It has a kitchen / dining / living room, a small double-bedroom, and a bathroom. There is a small attic space with a play/sleep area for children.